Your super 9 Inverness Spring events for you to love, share & enjoy! Escape to Inverness for your Spring break & stay at the Inverness Palace Hotel & Spa. Enjoy a blooming marvellous break in the “egg-cellent” Scottish Highlands! Don’t miss these super 8 Inverness Spring events. Madagascar the Musical – the Official UK Tour the only date in Scotland at Eden Court this Spring for fun filled, sing along fun for all ages it is a must see this spring! Join Alex the Lion, Marty the Zebra, Melman the Giraffe, Gloria the hip hip Hippo and the hilarious, plotting penguins as they bound onto your stage in the musical adventure of a lifetime as they meet King Julien of Madagascar! Inverness Whisky & Gin Festival, sample the spirits of the Highlands, discover some fabulous malts and locally produced craft gin. Come and be wowed at the Inverness Whisky and Gin Festival. Your chance to sample the spirit of Scotland. You will enjoy a series of Masterclasses, sensational Tastings, delicious Food, Music and much more! 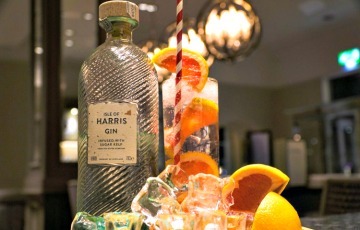 The Whisky and Gin Festival kicks off Saturday 13th April. Inverness Great Easter Egg Hunt, this is a fun FREE Family event! Your children will enjoy hunting for the golden Easter Eggs in the city centre shop windows. These eggs spell out the name of the Easter Bunny. You can pick up your entry form outside the steeple on Church Street or Inside the Eastgate centre at the Falcon entrance. Enter for a chance to win an Easter treat. Meet the giant lovable life size bears and bunnies, free face painting and Easter crafts in the Victorian Market. Plus Free Easter Chocolate for the kids. This great free family Easter event runs over 2 days 19 & 20th April 2019. Loch Ness Garden Party returns. Discover the great “OutDores” at this fab Inverness Spring Event. This intimate club event will hit all the right notes this Spring. 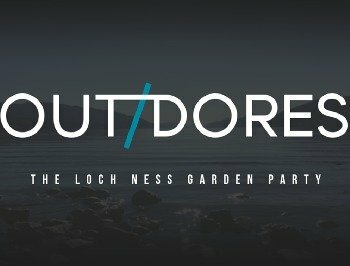 You will enjoy some of the best club music, in a beautiful setting on the shores of Loch Ness at Dores beach. Your chance to dance the night on the breath taking shores of Loch Ness under the stars. Your party starts Saturday 27th April. Headline act New Zealand brothers Ben and Louis Helliker-Hales, Chaos in the CBD, Sally C, Phazed & All Good (Dundee), Jack Williamson and the OutDores residents take to the decks. Etape Loch Ness 2019, a truly memorable experience either as a rider or as a spectator watching the scenery and 900m ascent challenge even the best amongst the field. 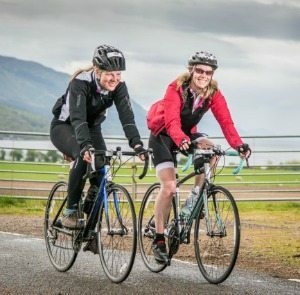 This fabulous 66 mile cycling event around Loch Ness on a breathtaking closed circuit isn’t for the faint hearted. Competition or spectator you will enjoy amazing scenery from start to finish in Inverness. Put Sunday 28th April 2018 in your diary! 2019 Inverness Science Festival, from 26th April to 10th May across the Highlands. Saturday 4th May is one of the festival highlights with the family Fun Day on Saturday 11th May. This is a fun day out with a chance to delve into the world of Science. Plus this year on 4th May there will be a science hunt across the city. Inverness Classic Vehicle Show, back for its 11th year on Saturday 11th May. This free family friendly event celebrates vintage and classic vehicles from across the eras. The Inverness streets are lined with these fabulous vehicles, street entertainers and live music adds to the atmosphere! Don’t miss the Finale Parade at 1500 led by Norcon Pipe Band! Highland Adventure Fest, Sunday 10th May from 10am to 1600. This is the perfect place to meet like-minded people, who love a little Highland adventure! It’s for all outdoor enthusiasts, designed to spark your interest in Hiking, Kayaking, Mountain Biking, Road biking, Canoeing, Surfing and much more. Get a taste for Highland adventure at Inverness Leisure Centre. Children 12 and under are free and 13 plus are £5per person. Come & experience these Super 9 Inverness Spring Events ! Make your “Egg-stra” special Spring Escape with a stay at the Best Western Palace Hotel & Spa. Book your Inverness Spring Break or check out our Seasonal Specials. Make sure to dine and sip your favourite cocktail in the Brasserie and Bar. Enjoy free Wi-Fi and don’t forget the lovely leisure club, with prices from £47.95pppn based on 2 sharing a classic room. Remember #bookdirect for your best offers. Call us on 01463 22 32 43 or email us at Palace. We look forward to welcoming you soon!